Before we were even married, we knew that adoption had been placed on our hearts. 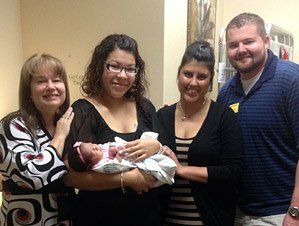 We never knew exactly the timing, or what it would look like, but we knew that God built families in amazingly unique ways. We had a deep desire for him to grow our family through adoption, but we waited. Soon we were married, we started new jobs and then became pregnant with our first child. Life moved quickly and our desire to adopt laid dormant, waiting for the perfect timing that never seemed to come. On one occasion I was speaking to a friend who had recently adopted and I found myself saying what I had said at least 100 times before, “We consider adopting.” Immediately I heard the voice that had always been a whisper, but this time it was more than a whisper. This time it was a call that replayed itself in my mind. “You keep saying that, but when are you going to do it?” We kept thinking our desire for an adopted child was just going to come to us, but the realization hit me that we were created to intentionally run after the child that God had planned for us. When I honestly asked myself about it, I knew deep down I had fears about what I could handle and fears that it would change everything we knew as a family. But mostly, I was afraid it would all just be too hard. The home study, the waiting, the chance of heartbreak in a failed match. You see, I love control and this was a situation that I couldn’t control. I had to completely trust that God would bring us the child he had planted in our hearts. He was going to have to do the work. For the first time, I was brave enough to believe that he would bring us our child and the journey began. We made the decision to adopt. The journey moved amazingly quick. We started our home study and within a few months had finished all of our paperwork and classes. We were home study ready. Now was the hard part. We had to wait. We needed to wait for God to bring us the child that he had planned for our family. Surprisingly, about a month and a half after we had finished our home study, we received an email telling us about a sweet birth mother who would be expecting in five months. As we read her profile, our hearts began to beat quickly. We could hear Rachel’s love and desire to care for her unborn child through the words we were reading. It was amazing to us how quickly we knew that this could be the child that God had planned for us. We didn’t hesitate in letting AFSC know that we wanted this mother to know that we would partner with her to love and care for her baby. Nothing can compare to the excitement we felt on the morning we received a call that told us Rachel had chosen us to love and care for the little baby boy she was carrying. It was like we were living in a dream. What a brave and selfless decision! It is one that we will forever be grateful to her for, even though we know it is one of the hardest things she ever had to do. From our first conversation with Rachel, we fell in love with her immediately. Her kind, gentle spirit and her passion and excitement for life totally captured our hearts. We bonded immediately and there was a friendship that began that we never dreamt of or expected. We often tell people that we knew God would grow our family through giving us a child through adoption. We just never expected for our family to grow through the gift of his birth mother. We love her for who she is and for the amazing gift that she has blessed our family with through her selfless love. Knowing her and loving her is a priceless gift! The next four and half months were filled with incredible anticipation and waiting. But throughout all of it, there were small miracles and surprises that none of us ever anticipated. Looking back now, we see that God was just painting a picture. He was showing us that every child is noticed and known by him, that through the heartache and pain that life hands us, he can make something beautiful, if we choose to love. One of our favorite moments happened the first time that we spoke with Rachel on the phone. Angela had set up a phone call for us to meet each other and get to know a little bit about one another besides what we had read about one another in our profiles. We were both a little nervous and scared, but that all melted away quickly once our conversation began. About halfway through the conversation, Rachel explained that she had been thinking a lot about the name that she would give her little boy at his birth. She explained that she knew we would give him another name, but that she had been encouraged to think about the name she would want to put on his birth certificate at birth. We all knew that this was part of the process of adoption and a very significant part for her by being able to give her baby name. Of course we answered yes and immediately as she spoke the name we lost our breath. Noah. We came undone. We thought that she might think we were crazy. You see, months before we had spent a significant time talking about what we would name our future child, and for a number of reasons, we had chosen the name Noah. She went on to explain why she had chosen the name, and amazingly, they were for the very same reasons we had chosen a name. God was telling her and us that he knows this baby, he knows his story, and he knows the plans that he has for him. He knew Noah before he was born and he loves him more than any of us could imagine. He has a name. During the following months, there were lots of conversations and texts back-and-forth. We had the unbelievable honor of getting to go spend a weekend with Rachel. It is a time we will never forget filled with conversations, laughter, hearing Noah’s heartbeat, and making memories together. We even had the unbelievable honor of getting to baptize Rachel in the ocean. It is something that neither of us will ever forget. Before we began this process, getting to know our future child’s birth mother seemed scary and at times confusing. We didn’t have a plan or know how we were going to build the relationship, but somehow it all happened and our fears and concerns melted away. We would begin to see we had so much in common. We love the same child and want to see them have an amazing future. The roles we play in his life will be very different, but they will both come from the same place of love and commitment. We needed each other and we will continue to need each other as Noah grows up to understand his amazing story of adoption. That he is fortunate enough to be loved by two mothers that will love him his entire life! We feel so blessed and thankful to know Rachel and we look forward to the days when we can see glimpses of her loving and charismatic personality come out in the young man that we call our son. I was overwhelmed with so many emotions of love, joy, thankfulness and incredible admiration. I had never witnessed a love so sweet and strong! Adoption is love … from every side of the story. We have been fortunate enough to experience it, and it will change all of us forever! …..we cannot say enough great things about AFSC. From the beginning of our adoption journey, we could see that AFSC was different. The way they talked about their birth mothers and the way they genuinely listened and cared about our concerns and answered all of our questions … it was just different. We were amazed by their incredible commitment to caring for birth mothers and their unborn children. They are love machines that are constant and faithful to birth mothers and families that need support and encouragement! All of their staff are genuine and thoughtful as they take this journey of adoption with birth mothers and adoptive families. Whenever our birth mother had a need, no matter the time of day, they were there. They offered support, but more importantly, friendship. AFSC has somehow created a family with open arms that invites mothers who need love and support into their care. During a stressful and difficult time, they become the family and support that birth mothers need to not only get through, but find hope for their future! Everyone belongs and knows they are not alone – they have a family. As adoptive parents, that is what we believe the heart of adoption is all about. Carrying for the whole family as new families are made. Giving everyone a place to grow, feeling loved and fully accepted! AFSC does this in a unique and beautiful way! We feel so thankful that we got to experience the process of adoption through the hands of AFSC and that we now get to be part of their family! 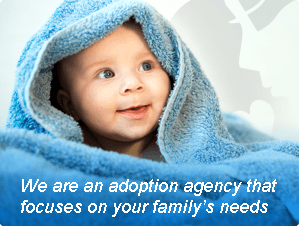 We specialize in personal, one-on-one support for adoptive and birth families. Please take the time to watch some of our Adoption Stories. Please take the time to view our Adoption photo gallery. Working with Lindy and your Agency was amazing!! The Family Support Center was established in 1992 and is a Licensed Child Placing Agency. Our hope is to share God’s love for each of our birth parents through our genuine care for them, and our non-judgmental and unconditional acceptance of them. We pray that, through our words and deeds, each family will come to know their intrinsic value and worth in God’s eyes. © 2018 Adoption & Family Support Center. 5889 S. Williamson Blvd, #1405, Port Orange, FL 32128. All Rights Reserved.